You only need one apple for this Dutch Apple Cake. It is a quick and easy dessert to put together, and the perfect dessert for a chilly fall day. John and I took advantage of the day and went on a walk. The weather was cool and a bit windy. By the time we got back, I was bitten by the baking bug and craving a baked apple dessert and had my sights set on this Dutch Apple Cake. With just the two of us, sometimes the challenge is making something that doesn’t go to waste because it makes more than the two of us can eat. I remembered a recipe for Dutch Apple Cake that I wanted to try some time ago. One apple, and it is baked in an 8×8 pan so none of it would go to waste. This cake is perfect when you want something that isn’t too filling. It isn’t overly sweet but is tender and delicious. This cake is great served warm with a little cream or a dollop of ice cream. (I used ice cream for investigational purposes). This cake came out so moist, and the top was delicious with that little sugar crunch. Preheat the oven to 400 degrees F. Line a 8x8-inch square pan with parchment paper. Using a hand held mixer, beat the eggs, 6 ounces sugar and vanilla extract in a large bowl until the mixture is thick. This will take about 5 minutes. Melt the butter and milk together in a saucepan. Drizzle the mixture over the egg mixture, stirring or beating on low continuously. Sift in the flour, cinnamon and baking powder, and fold carefully into the batter until no lumps remain. Pour the batter into the lined pan. Peel, core and thinly slice enough apple to line the top of the batter. Apples will sink and that's o.k. because they are supposed to. Sprinkle the remaining sugar over the top. Bake for 10 minutes and then reduce the oven temperature to 350 degrees F. Bake for an additional 20 to 25 minutes or until golden brown. Cut and serve with cream or ice cream. Recipe adapted from Dutch Apple Cake by Rachel Allen. There’s no shortage of cake recipes on Hostess At Heart. 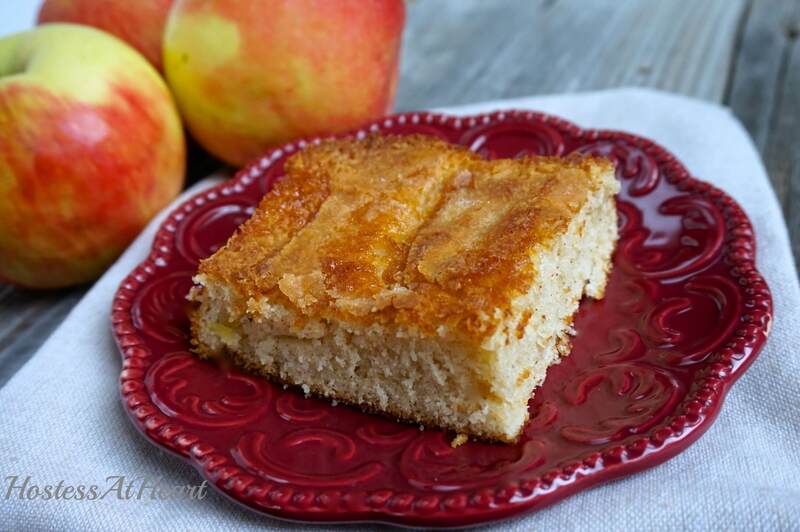 Another great cake perfect for fall is Upside-Down Peach Cake with Hot Rum Sauce! This looks and sounds delicious. Sorry I’ve been out of the loop. Hope all went well with your surgery and recovery. Thanks Patti! Rehab going well. Thanks for asking. This cake is a sole quick recipe. I liked it and others that have reported back have too. I will update you soon…mmmm…. My Dutch apple cake is just out of the oven and it smells amazing. Waiting for my husband so that we can dig in. This is just a beautiful little cake! I love the fact that it is a nice family size, and I have a friend who is Dutch by descent. I’ll have to make it for them! Thank you! I love cooking and baking for loved ones. I think us kitchen types all have that in common? I think so! And if they aren’t making little happy noises, I get worried!! This cake looks so delicious and moist Julie. I hope you are doing well now. Thank you! I am mending well and getting out now. Thank you for stopping by! One of my favourite cakes Julie! Served hot with vanilla ice-cream! Yummy. Hope your recuperation is going well! Thank you! Ice Cream of course. I am coming along very well. Start therapy this week and am looking forward to it. I’m absolutely ready for any kind of apple cake Julie! Thanks a lot for being at the FF! Thank you so much for co-hosting! I know it is a big job and it is a great group of bloggers! Thank you Selma for co-hosting this party! I appreciate having smaller desserts to make, so I am not tempted to eat too much, even though I am sure it freezes good. 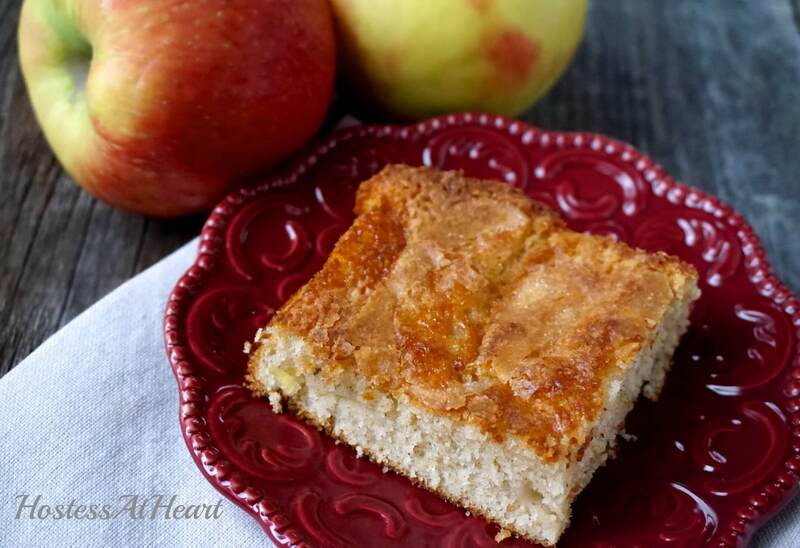 Apples are a favorite fruit to use in baking or making savory dishes – never made an apple cake before! I think my go to is always apples. I’ve been on a lemon kick lately though. Thanks Judi! I agree Justine! Thanks for stopping by! This looks great! I have been thinking about making an apple cake recently myself and this looks lovely and easy, always a bonus. Apples are so tasty in baking! I’ll put the tea on Kelsey! Thanks for stopping by! Wow lovely, unbeatable texture, drooling. Thank you so much! Happy you stopped by! You too stop by @madraasi, when you feel free. I agree! They warm me up in the fall and are delightfully crispy in the spring. This looks delicious! It looks fluffy and inviting with the goodness of apples! Thank you! I like so many apple desserts. This looks divine. I’ve had apple-y things but nothing of this caliber. I am drooling basically. Thank you Carmen! So happy that you stopped by! Looks yummy Julie, I love anything with apples! Will give it a try! Me too! Thank you for coming by! Delicious looking cake, Julie…I love the ease of the recipe as well! You are correct Nancy! Quick and easy. Thanks for stopping by! Love this cake Julie! Looks so fluffy!! Thank you! It is so easy and yummy. I like the proportions of the recipe. While my family would eat the whole thing in one meal, I would not have to worry about those pesky leftovers calling my name. Of course, apple cake for breakfast would be rather delicious .. Thank you so much for your lovely comments. It could certainly be eaten any time. My husband would gladly have it all to himself. Gorgeous Julie, love the size of this too, I always worry about making a large cake and fear that I’d eat it all myself. Also love anything with apples in it, so definitely a winner :). Thought about you and wondering how you’ve made out with the Doc’s visit? Shoot me an email if time permits, would love to hear how it went. Thank you Loretta! Update on it’s way. I made this fast and easy cake yesterday and it came out so delicious!! I also added chopped apples to the batter and added cinnamon and cloves. Thank you so much! I am very pleased that you enjoyed it! I love the addition of chopped apples cinnamon and cloves and will note to try that next time! Thank you! Easy, quick and delicious is definitely a winner any time for me. Wow this cake sounds delicious. … loveee it.. Thank you Chitra! I appreciate you stopping by! 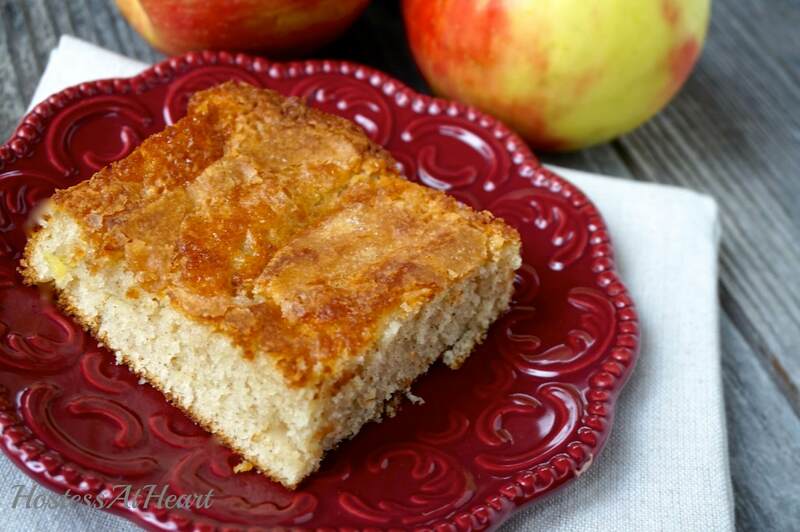 This Dutch Apple cake looks so delish! So perfect for spring! Thank you Andrea! Hope all is well with you. Thank you so much for stopping buy. Thank you Sonal! It is so easy to make and makes only an 8×8 so it was perfect for my hubby and I. Looks delicious! I love a good apple cake! Thank you Leah! So happy that you stopped by! That looks really good! I bet it’s wonderful straight out of the oven! Thank you Alissa! It is easy peasy too! Yum! I love apple cake! I would love to do a post on it, but its a family secret. I’ll have to just live through yours! Family secret? Must be delicious! I sure wish I had some of those recipes that disappeared once my grandmother passed. I’ve heard of apple pie, but never apple cake. I bet this is delicious!! I love apple pie! This cake is very quick and easy but I wouldn’t turn down the pie anytime. Thank you. Whenever baking bug bites u followed by ur yummy post, craving bug bites me here.Looks delicious ! Hope you are doing well, Julie! I just pinned this to my “Sweet Tooth” Board on Pinterest. Yum! Thank you Debbie! Back to the Dr today. Hoping to bet more mobile! That is so easy! It looks fluffy and moist and crunchy on top… Yummy! I love the red plate. Thanks Ana! The cake was very easy. This little plate came in a gift basket we received. I always wondered what I was going to do with just one little plate but I have found a lot of uses for it. Have a great day!